Gweru Polytechnic is an Institution of choice in the Midlands Province offering unparalleled Technical and Vocational Education and Training. The Ministry of Higher and Tertiary Education, Science and Technology Development’s thrust centres on Science, Technology, Engineering and Mathematics (STEM). As such, courses offered by Gweru Polytechnic are tailored to be STEM complaint and inevitably provide a platform for development. Over the recent years the institution has also witnessed an unprecedented enrolment growth in the Technical Teacher Education Programme which promotes growth of technical skills in Secondary Schools. Subsequently the imparted technical skills enable entrepreneurial skills development among the youth thus economic growth. Gweru Polytechnic boasts of highly qualified lecturing personnel to guarantee delivery of quality education and training. The institution recently acquired state of the art equipment in the Engineering Division and Applied Arts and Sciences Department to ensure that our students are abreast with the latest technological trends. The Institution also prides itself on having fully equipped computer laboratories and a recently renovated library hence promoting a culture of continuous research and innovation among students and staff. Above all the Institution provides a home away from home for local and international students with diverse cultures through various student centred extra-curricular programmes. These include health and life skills training, soccer, volleyball, karate, netball, debate, Christian Union among others. 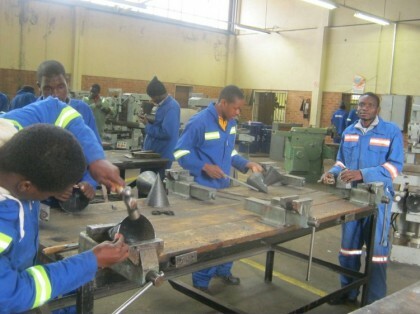 Gweru Polytechnic is undoubtedly a beacon of excellence in Technical and Vocational Education and Training in the Midlands Province. Students, YOU CAN SEND YOUR ARTICLES THROUGH E-MAIL, FACEBOOK, WHATSAPP or TEXT Just app Charles Mushinga on 0772936678 or send your articles, pictures, poetry, art . . . to Charles Mushinga at charles.mushinga@zimpapers.co.zw or mushingacharles@gmail.com or follow Charles Mushinga on Facebook or @charlesmushinga on Twitter. You can also post articles to The Sunday Mail Bridge, PO Box 396, Harare or call 0772936678.